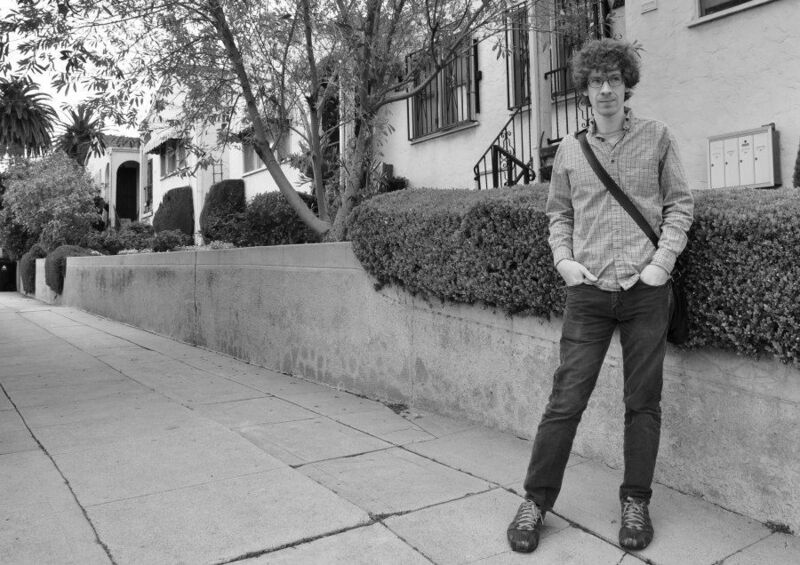 Aaron Kunin and Jacquelyn Davis met at the border between Chinatown and Echo Park (at a friend’s house) to discuss his second full-length collection of poetry, titled The Sore Throat and Other Poems. Kunin also discussed other relevant topics, ranging from his first book of poetry Folding Ruler Star, art and objecthood, compulsions, the difference between balance and grace, as well as locating inspiration for art-making in what is usually concealed or considered shameful. Kunin read excerpts from The Sore Throat and Other Poems. This talk was originally recorded on March 2, 2011. Aaron Kunin is an American poet, critic and novelist residing in Southern California. His other published works to date are Folding Ruler Star, The Mandarin, Secret Architecture, The Mauberley Series and Cold Genius. Kunin is currently the assistant professor of Negative Anthropology at Pomona College.